There are a lot of different ways to monetize a podcast. Even if your main goal isn’t to bring in massive revenue from your show, it’s nice to have a hobby that pays for itself. 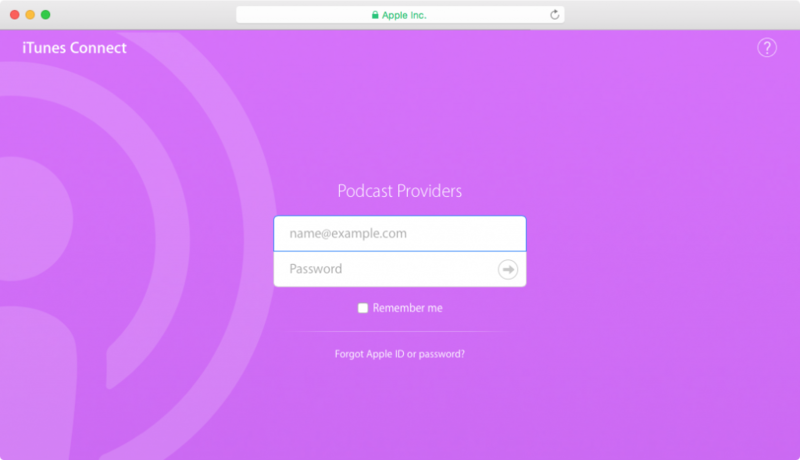 Here are the 6 ways you can monetize the podcast. One of the best things about having a podcast is that you’ll be able to drive traction and exposure to your own products and services. Two entrepreneurs Paul Jarvis and Jason Zook leveraged this tactic perfectly. They both run Invisible Office Hours podcast, a show for entrepreneurs and creative professionals who aren’t confined to literal office hours. Paul and Jason realized that it’s a well known show in the entrepreneurship space, they didn’t have hundreds of thousands of listeners tuning in week after week. For that reason, it wouldn’t make sense to monetize through sponsorships. Instead, they knew that people who listen to the show are highly-engaged and will most likely be interested in whatever they have to offer. With this knowledge, they decided to put together a bundle of their existing books and courses and offer it to their podcast listeners. Maybe you don’t want to put together a course and sell it, but instead want to publish a book one day. Maybe you don’t want to put together a course, but instead want to publish a book one day. Tim Ferris is a great example, where he was able to leverage his audience that he built mainly through his podcast, and publish a massively popular book that has sky-rocked through all the charts. When he was middle of the launch, he would devote a whole segment of his show to his latest book as well as a link to the book in the episode’s show-notes. Whether you already have a product ready or your thinking about creating one, having an engaged podcast audience can make all the difference. Affiliate marketing is a performance-based marketing, where you promote other people’s products and services. 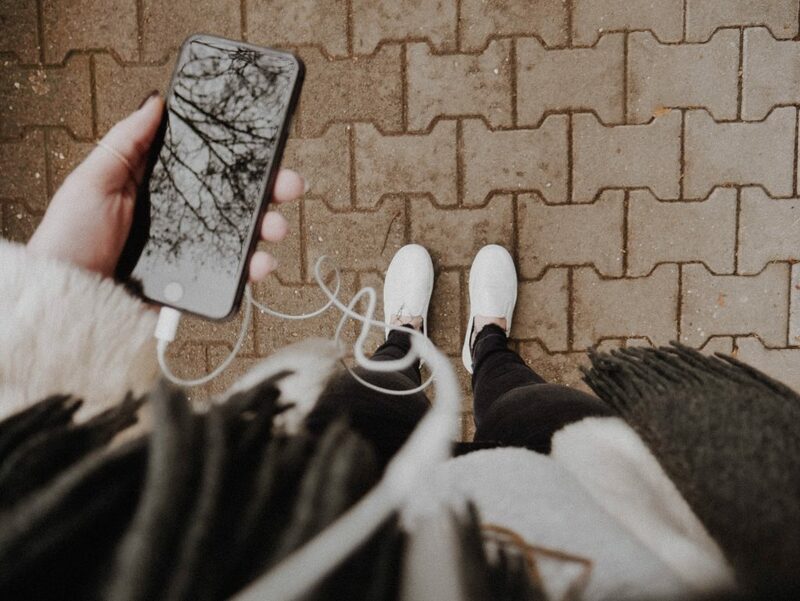 Typically, when your promoting something you’ll get a a special link or a code, and when your listeners make a purchase you’ll earn a commission. I’m sure you’ve heard podcasters promote Audible or other similar offers to their listeners. I don’t blame them because it works incredibly well. No matter how big or small your audience is, you’ll be able to sign up to a lot of different affiliate programs and get started right away. Not all company’s have affiliate programs and you can to a quick google search of “company’s name + affiliate” to find out if that’s the case. If you promote physical products, the commission is typically anywhere from 4% to 15% and you’ll be able to find literally all physical products you’d like to promote on Amazon Affiliate Program. An example of promoting a physical product is listing a recommended book from you or your guest to the show-notes. A good idea is to have a mix of both physical and online products/services to maximize the profits. One of the keys here is to be transparent with your audience, and let them know, that you will be receiving a commission when they sign up or buy something through a link of yours. 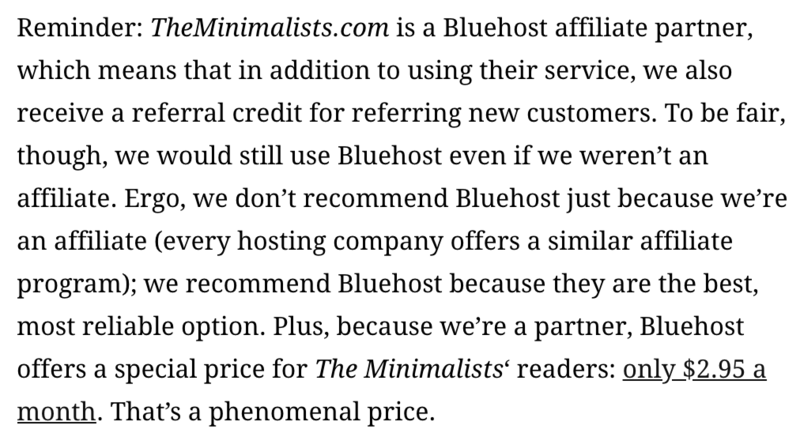 For instance, Joshua Fields Millburn and Ryan Nicodemus from The Minimalists podcast have a disclaimer that they are a BlueHost affiliate partner. Think about it, if you are transparent with your audience, and if you are able to score them a better deal, a simple disclaimer might even increase your overall revenue. The best part about monetizing your podcast through affiliate marketing is that you can get started with it no matter the size of your audience and you don’t need to spend a lot of time up front creating something upfront, like a course. Monetizing a show through sponsors is typically the most popular option out there. John Lee Dumas, Pat Flynn and a few others podcasters who are public about their sponsor revenue, often create the illusion that it’s incredibly easy to make 6-7 figures by simply starting a show and adding a few sponsors. If we look at the numbers, the typical rate for sponsors is $25 CPM (cost per thousand) for a 60 second mid-roll (sponsored message in the middle of the episode). This means, that if you have been able to scale your episode to 20,000 downloads per episode and you run a weekly show with one sponsor, your making roughy $800 a month. In most cases it takes long time to hit 20,000 downloads per episode, and if you are in a tiny, specific niche, it might not even be possible. If that’s the case, you want to score a good deal with the sponsor (not the average CPM). Also, ideally you want to partner up with a ompany that aligns with your audiences interests and values. Too often, podcasters choose long-term cash over the trust of their audience, which can burn them later. Sponsorships are a great way to monetize shows with a lot of listeners and that are in more general niches. Sometimes it’s a good idea to get creative with the way to monetize your podcast. Patreon is a popular crowdfunding platform that lets creators have more control with a possibility for consistent flow of revenue coming in month after month. 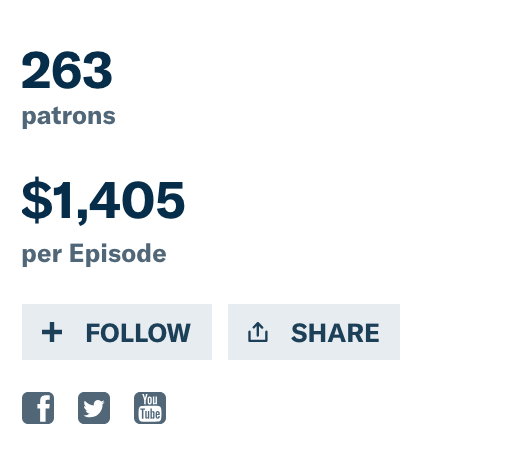 Some people turn to Patreon to keep remain more independent and keep their shows ad-free. A while back we interviewed Jennifer Briney of Congressional Dish, who has been effectively leveraging the power of her audience. Jennifer decided to go with Patreon, because she wanted to make sure that her audience gets a better listening experience by not including ads at all in her show. With the help of Patreon, she has been able to climb to the top of iTunes charts and focus more on creating a best possible show. Another example is Last Podcast On The Left, a show that receives millions of downloads every single month. A large portion of their revenue comes through Patreon. Even though, it might take some time to reach to a revenue point that pays the bills through Patreon, it results more independence and more creative freedom as a show-runner. Coaching is a massive industry, and it’s for a good reason. If you think of world-class athletes, actors and top business executives, they’ve all had coaches in their life. A right coach can speed up the learning process, show you things from a different angle and offer clear direction. Whether you have hundreds of thousands of listeners or just a few hundred, being a coach is an excellent way to monetize your show. Even though, coaching and giving advice might seem a bit scary at first, the truth is that if you are able to produce results for your possible clients it can be for you. Once you decide on the format of your coaching program, you can record a simple ad or casually advertise it during on of the episodes. Then guide your listeners to a specific page where they can see your offering and sign up to the program. For instance, Jaime Tardy from Eventual Millionaire has become known a well-known consultant, and most of her clients find out about her through her podcast. It’s up to you, whether you want to charge a monthly retainer, or a per-session consulting fee. You can also add some add-ons to your coaching program. It could be unlimited access to your email, accountability or other worksheets that you’d like to offer. Hosting an event is an excellent way to bring in revenue through ticket sales as well as meet some of your listeners. Even though, it might be a lot of work, if you have enough time to prepare and the right team, the end-result can be something amazing. One of my favorite podcasts is How I Built This, where you’ll hear stories behind some of the world’s best known companies. The podcast has a massive audience, and it has been featured on The Washington Post, Forbes, Esquire, WIRED, BuzzFeed and Refinery29, and is often in the top of iTunes charts. Lately, they’ve been hosting events across the nation, where the host of the show, Guy Raz interviews entrepreneurs live. The tickets are expensive and get they sold out fast. Another example comes from Lewis Howes from School of Greatness. 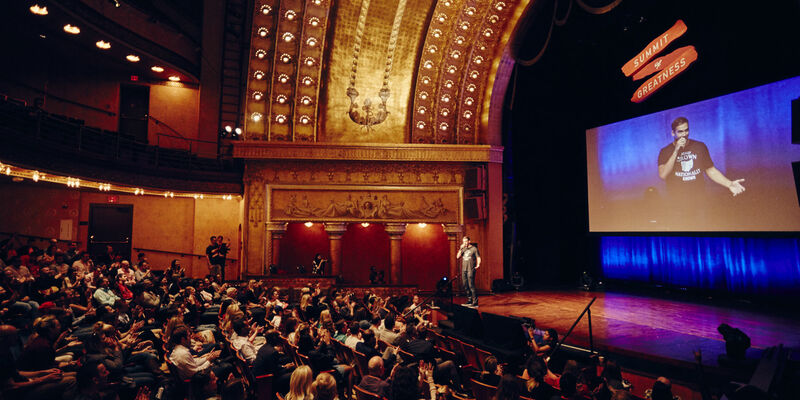 Lewis has seen massive success with hosting Summit of Greatness, a 3-day event that aims people to reach your ultimate human potential and strengthen your purpose. The #1 reason so many people show up to this event, is because of his podcast. Besides the obvious revenue benefit from the event, you’ll be able to build great relationships and get great photo/video testimonials for your business. A typical mastermind is usually a group of people who meet on a regular basis to help each-other achieve their goals and objectives. Many masterminds connect once or twice a month via Skype/Google hangouts and each person in the group has the chance to discuss what’s going on their lives, business and the challenges they’re facing. Meetings usually don’t go longer than an hour and they are often highly structured to get the most out of every single minute. For example, Melyssa Griffin, the host of Pursuit with Purpose has put together a premium mastermind where people who earn 7 figures or more can apply to join. The admission is not cheap but it provides accountability and direction for the group members. You can put together your own mastermind, where you charge a fee to enter the group or a monthly retainer. It’s up to you how often the group should meet, what’s the agenda and the amount of people you allow in it. The best part about monetizing a show through a mastermind is the ability to bring in quick revenue and meet likeminded people. As you see, there are a lot of creative ways to monetize your podcast. Ideally, you don’t want to choose just one tactic, but leverage many of them so you’ll have different income streams coming in. So keep having fun with creating a podcast that listeners love and in no time, you’ll be able to bring in some serious revenue.